Don’t be embarrassed by your not-so-perfect smile any longer. At Walton Blvd. 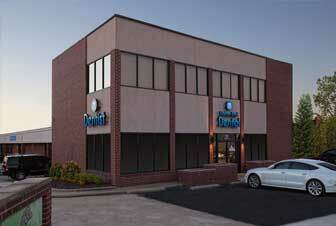 Dental, we make professional cosmetic dentistry services affordable. From making your smile brighter and whiter, to improving the health of your teeth through a full mouth restoration, we have everything you need at our soothing and convenient practice. The smile you have been dreaming about is waiting right here! Tired of chipped, cracked teeth? Porcelain veneers are thin sheets of porcelain that are bonded to your tooth’s enamel. Perfect for correcting discolorations, cracks, chips, and a variety of other imperfections, veneers are a simple way to dramatically change your smile. Ask us how to get long-lasting, durable results with porcelain veneers. Similar to traditional porcelain veneers, minimal prep veneers can really have a positive impact on your smile. They require less preparation of your tooth’s surface, but are still durable and dramatic. We offer affordable eMax brand minimal prep veneers. Do you have pain in your mouth that you just can’t pinpoint? Are there a variety of imperfections that you want to change? Because each tooth is treated individually, a full mouth restoration can alleviate pain and create the perfect smile. We will discuss the treatment options with you and our staff will be with you every step of the way and ensure you’re comfortable and satisfied. Our highly trained team can prepare a broken or severely damaged tooth for a crown by sculpting the area to expose more enamel. This process is great for patients who might not have thought they qualified for therapy because there wasn’t enough healthy enamel to support restorations. 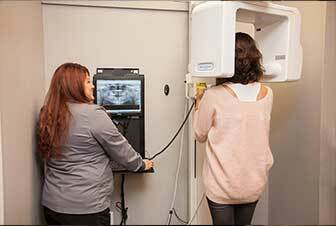 Our crown lengthening procedure is performed in our office, with compassionate care from the team you trust. Does your smile show too much of your gums? We can resculpt your gum tissue to expose more of your natural enamel and create a more balanced smile. Show off your pearly whites with a gum recontouring treatment from Walton Blvd. Dental. Looking for a less invasive cosmetic procedure to fix imperfections? Composite bonding can help. Fix small gaps and chipped enamel with expertly sculpted tooth-colored composite material. 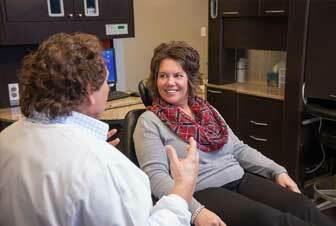 The procedure is painless and the results blend seamlessly into your natural teeth. It’s the perfect way to fix the little things. Want a more even smile? Fix misshapen and uneven teeth with a tooth recontouring procedure. Just a little bit of work can really make a dramatic change to your smile. Ask us if tooth recontouring is right for you. A bright, white smile is the key to confidence. 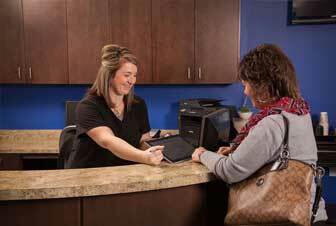 Skip over-the-counter remedies and get longer lasting results at Walton Blvd Dental. We offer in-office smile whitening and custom-fitted trays that you can take home and whiten with at your convenience. Smile bigger with professional whitening treatments from the practice you trust. 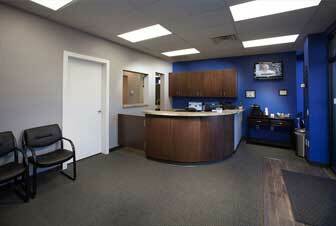 There’s no need to travel to another office specifically to see an orthodontist. Our team of skilled dentists can provide all the orthodontic services you need at a price that’s more affordable than a specialist. We offer traditional stainless steel braces for adults and children, as well as more advanced orthodontic treatments for TMJ and palatal expansion for children. We also offer Invisalign clear braces. These comfortable aligners are smooth, comfortable, and virtually invisible making them the perfect choice for adults. To learn more, read our Orthodontics page. If your smile is limiting your confidence, talk to us today about your cosmetic dentistry options.